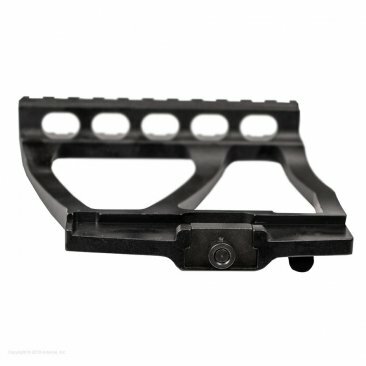 The 5-inches-long Picatinny rail runs along the rifle, from the end of the top cover to the rear sight leaf, and allows for attaching multiple devices at the same time or one device for maximum eye relief. 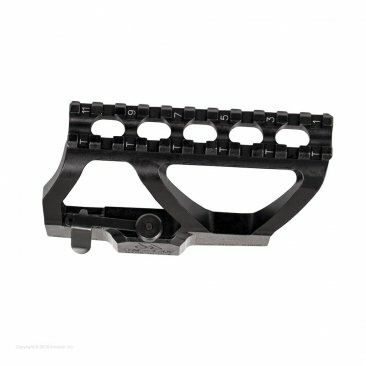 The mounts follow the contour of the rifle closely for a secure, tight grip. 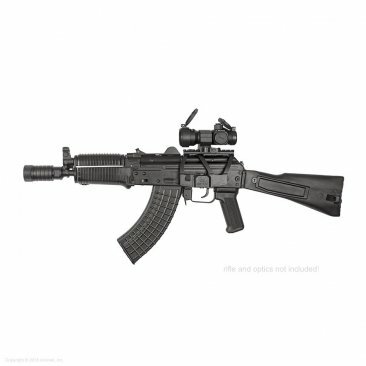 The absolute low profile and the relief cut along the rail allow the use of the iron sights even when the scope mount is attached to the rifle. 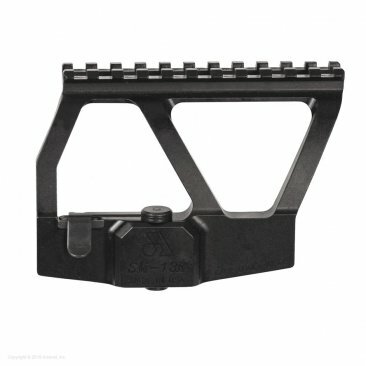 The mounts utilize the time-proven steel adjustable locking mechanism (tension adjustable) that allows instantaneous attachment without any compromise to accuracy. 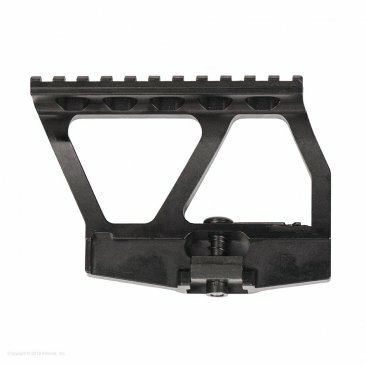 Unlike other mounts that attach to unstable top covers or gas tubes, the SM-13K mounts from attach to the side scope rail of an AK variant rifle, which is the most stable attaching platform.